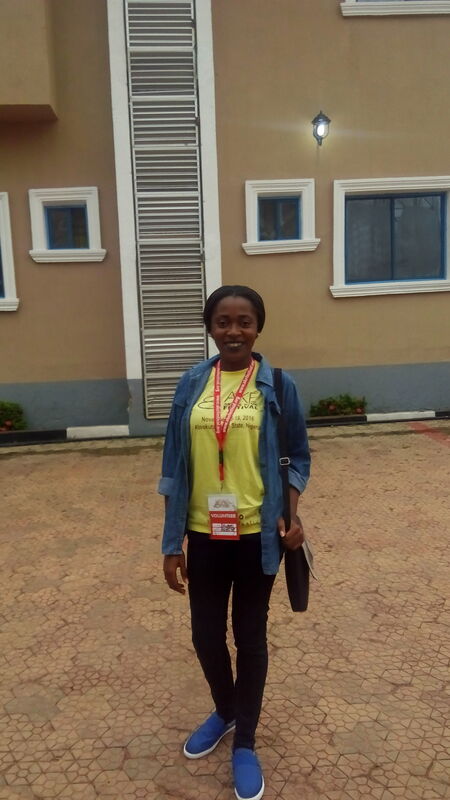 When Ify announced my placement in Ake and she told me that I will be working in the bookstore, I was not happy because I thought I would be missing the major events in the arena. However, I soon discovered that the bookstore is where the major and exciting events take place. The line manager in the bookstore is a hard working and dedicated man. 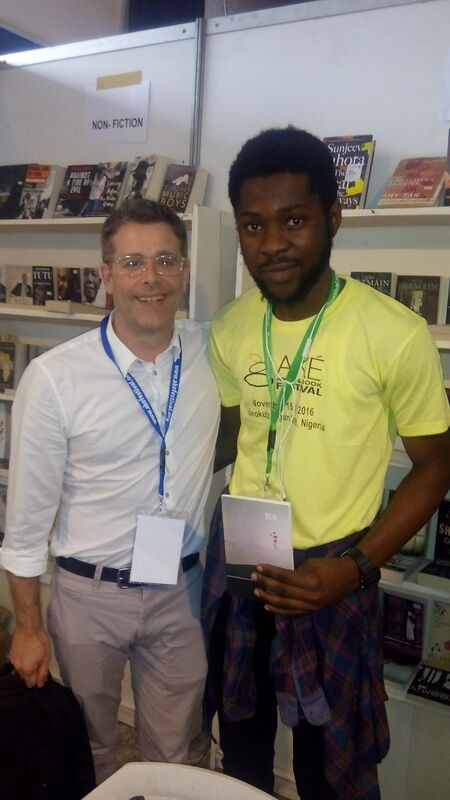 He is Tosin Adeyemi and he’s always on the move; moving, packing, tagging and arranging books. He’s so fond of saying, “Thank you Titi” for anything he asks me to do in the bookstore. There’s the cool and calm guy at the extreme end of the store who is Nanzi. He’s hardworking. He moves from the bookstore to the media store…basically, he’s all over. There are also other volunteers like Ajoke, Dimeji, Adedayo and Olusoji who are ever ready to satisfy the customers. As different shades of feet fade into different shades of faces that troop into the bookstore, the hardest part of it is getting the right pronunciation of their names. Tendai Huchu showed up with his long dreadlocks. I had a selfie with him and he bought me The Hairdresser of Harare. You need to read the book. It’s captivating. You won’t drop it until you finish it. I also met Sarah Ladipo Manyika, she smiles a lot. The volunteers had a selfie with her. I asked her how she was able to vividly capture Ibadan in “Independence”. She said her father is a Nigerian. 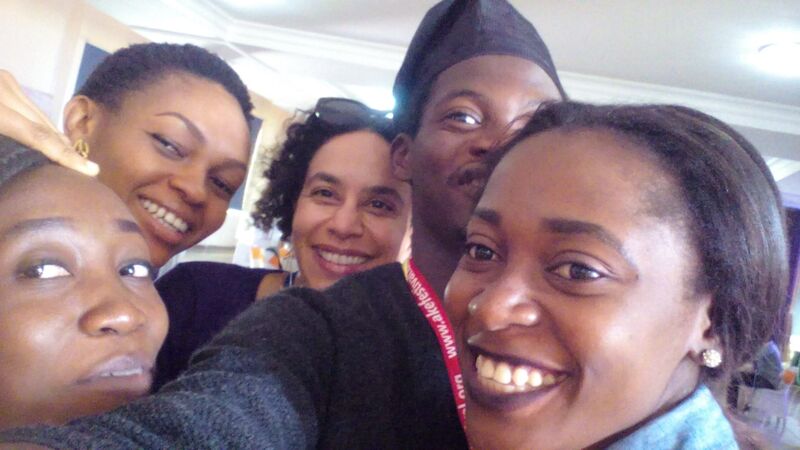 Pearl Osibu, a writer for BBC Short Stories, came around too. Sebastian Lorscher, the author of ‘Making Friends in Bangalore‘ came to check his books on the shelf. Dzekashu Macviban from Cameroon, a Journalist, Writer, Techie. 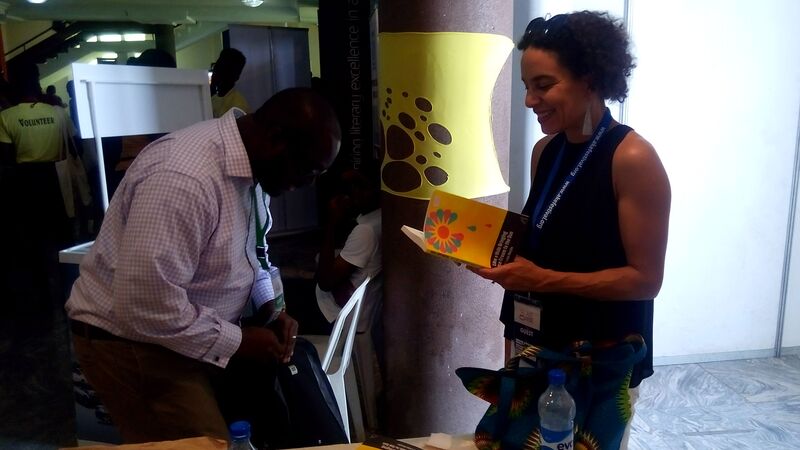 Founding Editor of @bakwa_magazine and Assisting Editor of This is Africa (TIA) stopped by as well. We talked on Abouet’s film character and he said he enjoyed it. Shadreck Chikoti, author of “Azotus The Kingdom” from Malawi came around to buy his friend’s book, Abubakar Adam Ibrahim’s “Season of Crimson Blossoms”. I met Chinelo who selected few books and said she will have to go home and sleep over her trust funds then come back for them. The highlight of the day was when the music concert time was drawing near and people came trooping in. I almost gave up that I would miss the concert. 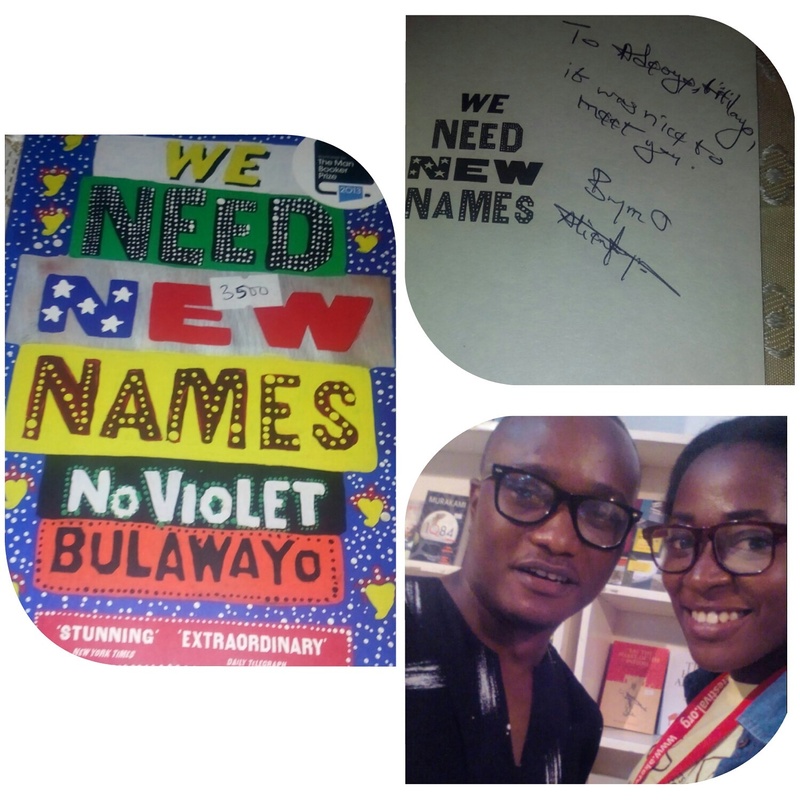 While balancing my sales for the day with Tosin Adeyemi, Brymo walked in to buy books and he got me a book and signed it. I had a selfie with him. The turn up at the music festival was topnotch. 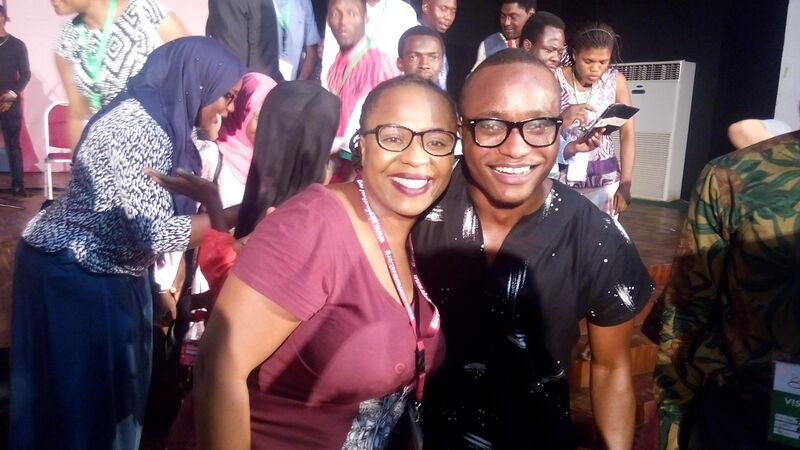 Brymo, Falana and Adunni Nefertiti lauded the audience with their amazing voices and energetic dances. I’m so glad I got placed in the bookstore. 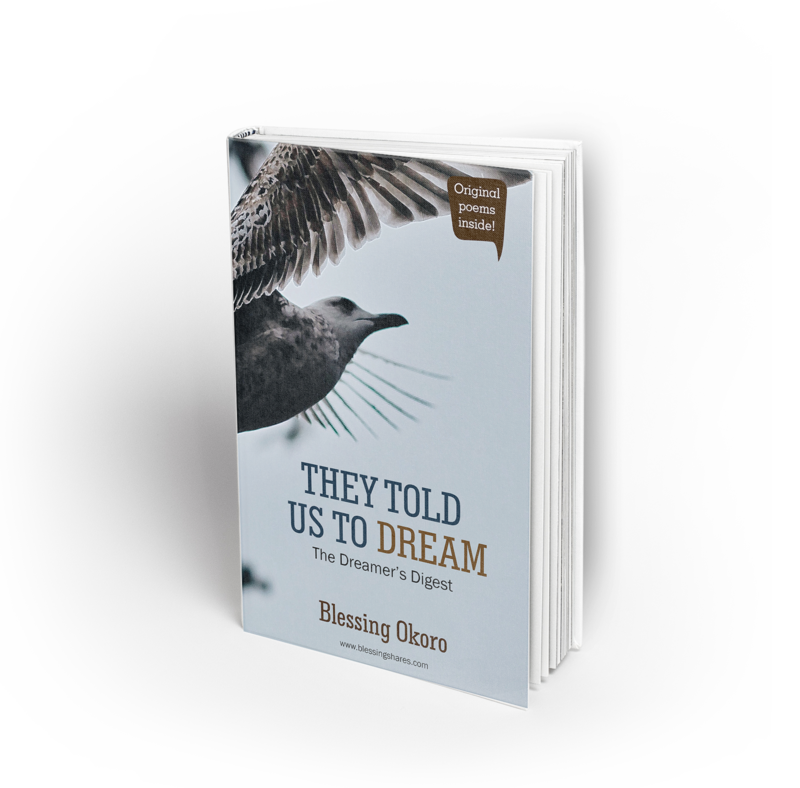 Nigerian writer, Titilayo Adeoye is a graduate of Literature in English from Obafemi Awolowo University, Ife. Bits of her creative gems have appeared or are forthcoming on African Writer, Kalahari Reviews, Avocet Journal #204 and elsewhere. 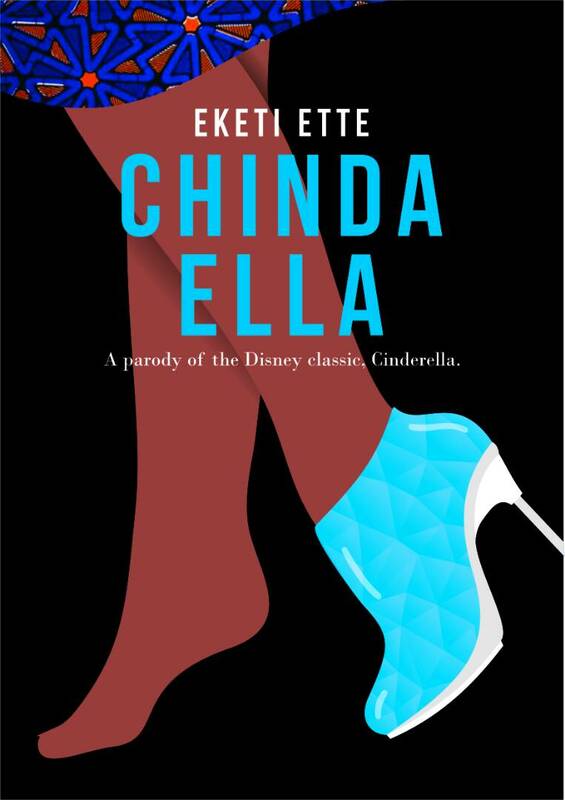 She edits for Kraft Books, Ibadan, Nigeria. 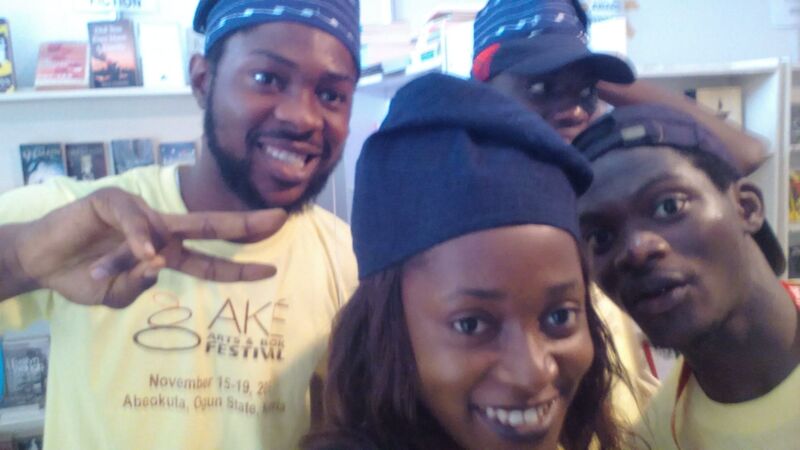 Are you at the 2016 Ake Festival and you would love to share your experience with us? 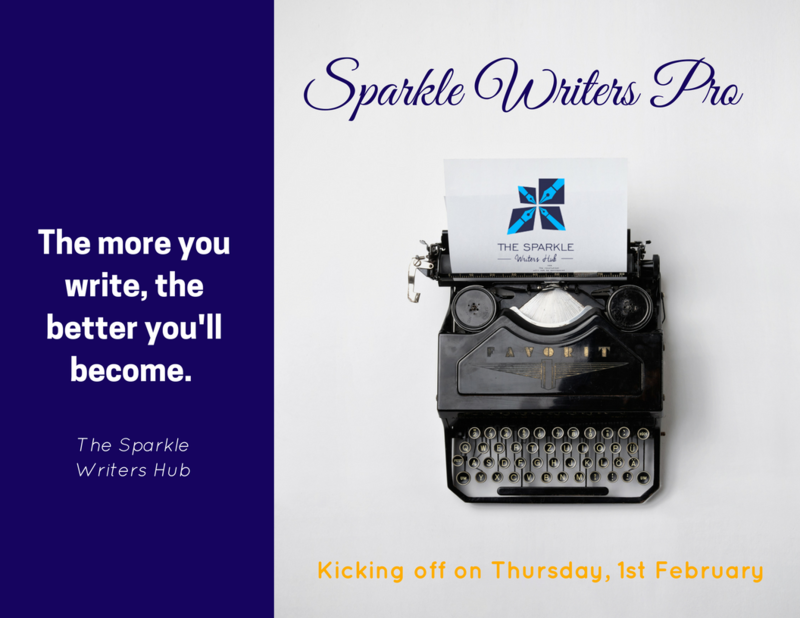 Send an email to thesparklewritershub@gmail.com. 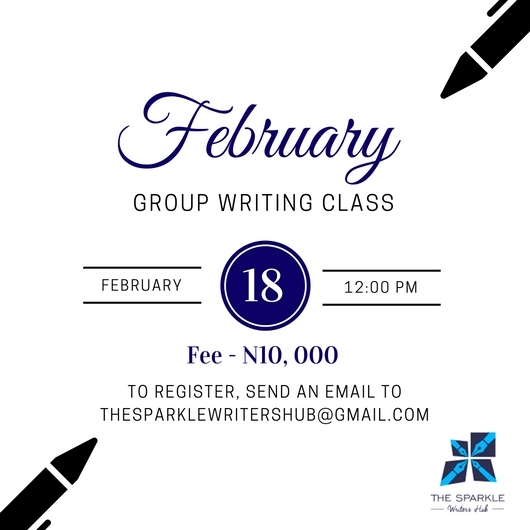 Every lover of literature in Nigeria knows that the Ake Festival is currently going on. If you didn’t know, where have you been? A lot of awesome activities have taken place since the festival officially kicked off a few days ago and we are so excited to see like minds coming together to celebrate African literature and arts. 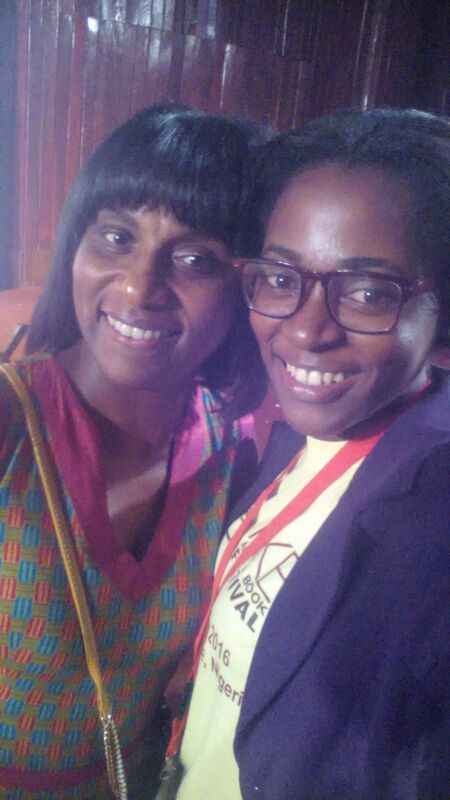 In this new #AkeFest16 series with Titilayo Adeoye, we will bring you highlights from the Ake Festival from Titilayo’s lens. Exciting right? Today, Titilayo shares a review of the ‘Aya de Yopougon’ screen filming with us. Enjoy! 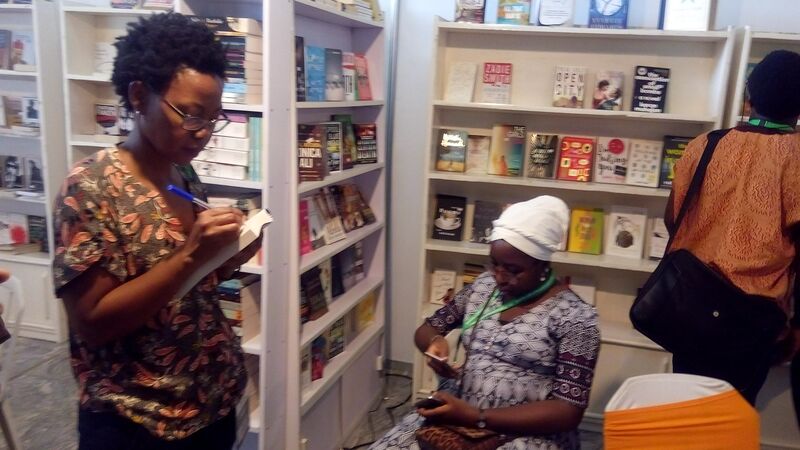 There is a buzz that comes when you’re in Ake Festival: the feeling that places you in a space, very imaginary, above other writers or literature lovers. That feeling of getting to meet people, taking selfies, eating, talking more and doing other sillies in the ambience of learning and exposure. 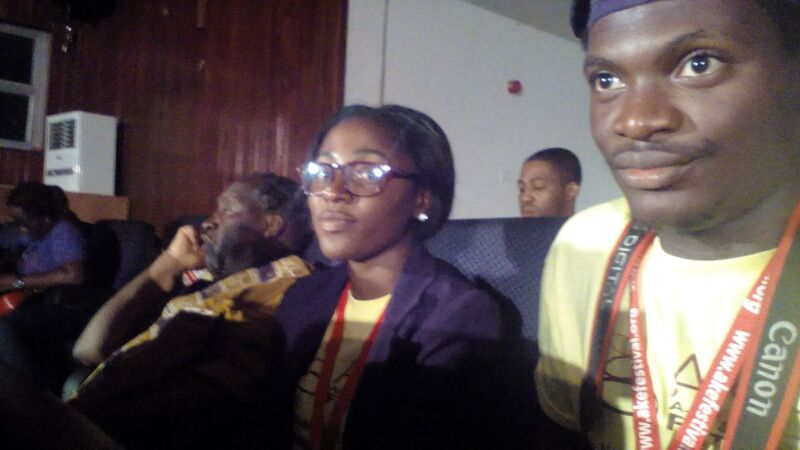 So I was supposed to go see the movie with fellow volunteers, Adedayo, Móje, Stephanie, and Dimeji. 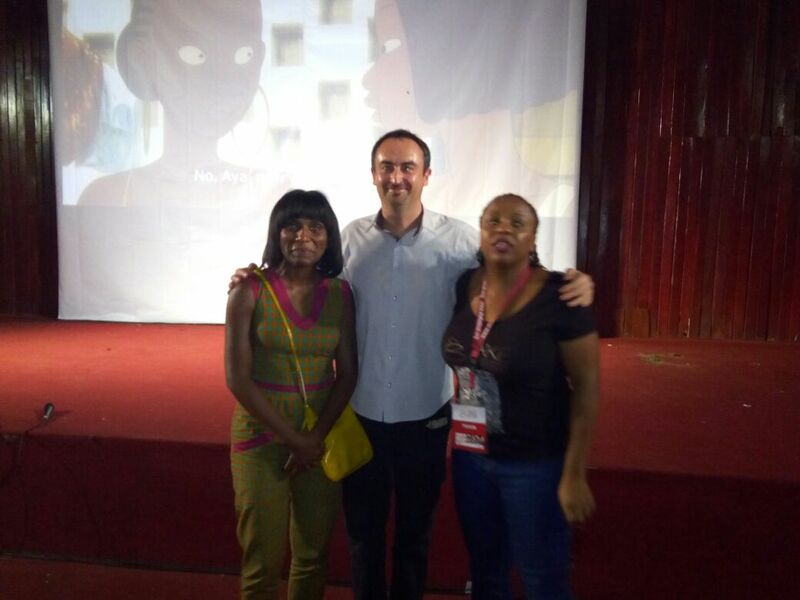 The session was a screening of Aya, an animated movie/documentary by Marguerite Abouet and Clement Oubrerie. I was seated with the all eccentric Adedayo who was sharing a drink with me. That boy can disturb for Africa. He kept passing comments on everything he laid his eyes on. The movie started with a very funny beer commercial where real people were drinking and all. The hall jeered in response. “What if we are what animations watch in the TV?” Adedayo reacted. I am actually leaving an information out. Monday evening when we were sorting out drinks, Ngugi Wa Thiong’O came to the Banquet Hall where I had the privilege to take a selfie (I like to feel myself sometimes, I was the only one who had an exclusive selfie with the legend). While we were in the cinema hall, Ngugi, who Lola Shoneyin addresses as Baba, walked into the hall. News reached us that he ordered for the kind of palm wine that blurred the eyes of the characters of Achebe’s Things Fall Apart. He asked to sit at the back and the bottom line is, for the whopping second time, he was sitting with me! Now that my important information is out of the way, let’s get back to the review. 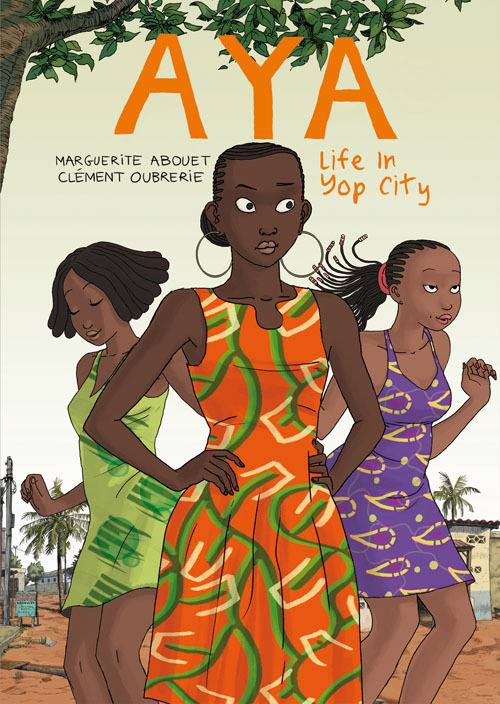 Aya is a reflection of other things that happen in Africa aside from war and Cote d’Ivoire was the setting. The story was one that showed the lives of different families with different affluence levels and the effect of beer, girls, work and other factors on their lives and the society at large. The animations were just apt and awesome. Guess what?I had a selfie with Marguerite Abouet after the screen play. The night folded with the closure of the movie, the waking of a sleeping Adedayo and the rush to get our bags, camera, volunteer shirt and other things. We walked our tired bodies to the hotel and we anticipate tomorrow’s activities.